We are noted amongst the leading manuracturer, exporter and suppliers of a wide variety of Cord Grips that is sourced from the certified vendors of the market. Our vendors use premium grade raw material and latest technology to manufacture these grips. The offered grips are well-known among clients for their optimum finish, compact design and longer service life. These are tested on various parameters at vendors’ end to ensure that only superior quality grips are delivered to the clients. Established in the year 2012 at Jamnagar (Gujarat, India), We “Accutech Products” are engaged in manufacturing, exporting and supplying a wide range of brass cable gripper Liner lighting suspension fittings. Our offered range includes Brass Electrical Accessories, Brass Lighting Components, Brass Cable Gripper, Brass Lightring Fixture etc. As per the set industry standards, our offered products are precisely manufactured using quality tested brass and ultra modern technology by our skilled professionals. 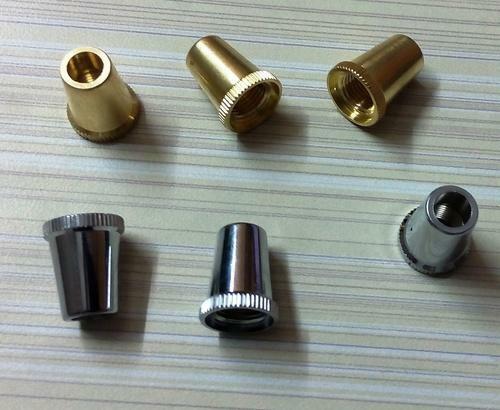 The offered products have gained huge acclamation among our clients for their qualitative features like corrosion resistance, fine finish, easy installation, accurate dimensions and high durability. The provided products find their wide applications in sheet metal industries, electronic industries, refrigeration industries and other general industries. Apart from this, our offered products can be availed from us with different customizations and at market competitive prices.